I decided to publish another checklist that might be helpful to find out whether you or anyone else you know has touched on any kind of group (Christian, religious, political, esoteric etc.) that eventually turns out to be dangerous for spirit, body, and soul. Michael Clark and I translated this Seventeen Point Checklist from a checklist I would find years ago on a German website. Michael recently published a great blog article in which he described his own painful experiences in cults. 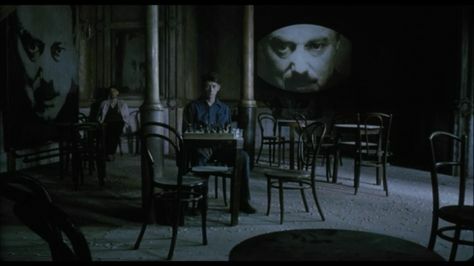 The picture he attached to that post was very inspiring for me, so I also chose a photo from George Orwell’s “1984”. I recall how much I hated to read this book in high school about 36 years ago, such a dark scenery! Back to the check list: If you follow the link below, you can also see the pictures (cartoons) that go along with the German text which I changed slightly due to a, which I believe, inappropriate wording in one case. I wanted to follow the Spirit’s leading here as you might have already expected when you are familiar with my writings.